The process of aging is still very much a mystery for most of medical science, but there is one thing that we do know and it is that exercise is critical for a long, healthy life. 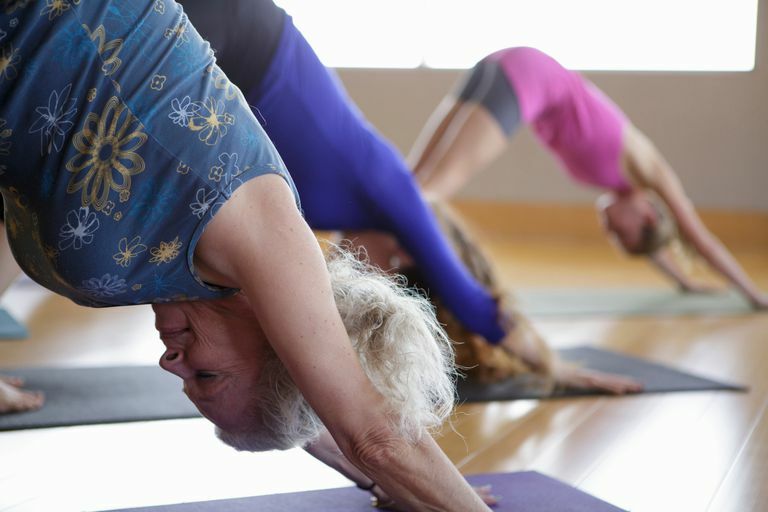 Exercise not only increases longevity, but it also helps us to feel better immediately. However, over two-thirds of American adults are considered overweight. Thus, it seems that exercise is difficult for most of us to accomplish, or at least is not a part of our daily routines. While some of the most healthy cultures do not have any formal exercise as we know it, they all live very active lifestyles from the time that they are children until they are in their 80s and 90s. Unfortunately, the average American's lifestyle simply isn't that active. In fact, it is quite sedentary. But, we have counteracted some of the damage we do every day with regular exercise. Though hitting the gym might not sound like a good time to you, there are people out there, and lots of them, who actually love exercise. They love to run, lift weights, and swim. Wouldn't it be a lot easier to exercise if you were one of them? Here are steps that may help you learn to love to exercise. One of the hardest things about exercise can be scheduling it. In a culture where we live a mostly sedentary lifestyle, everything else seems to take priority over exercise. But it shouldn't. Exercise is viewed as a free time activity, and who has free time anymore? Before getting wrapped up in buying the right shoes and finding the right exercise routine, practice setting time aside. Consistently reserve 30 minutes, at least 3 times a week, to get moving. Don't allow yourself to use that time for anything else. Here's your first test: for 30 minutes, at least 3 times a week, think about exercise. Just sit somewhere and think about it. Do not surf the Internet. Do nothing but think about exercise. Think about what simple exercise activity you could be doing during this 30 minute period. Could you be walking? Marching walking in place in front of the TV? Going to a gym? Doing yoga at home? What feels right or most appealing? Do this mental exercise for a week, or until you feel ready for the next step. You just might be ready after the first day. Now that you are used to setting aside the time and thinking about exercise, begin substituting thinking with actual physical activity. It may seem silly, but by scheduling just 30 minutes, you've overcome the biggest obstacle to regular exercise—time. Now you can have fun experimenting with your exercise style. Now that you've scheduled the time and tried a few different things, set a minimum number of times each week that you will exercise. Commit to yourself that you will never drop below that minimum. Even if you are traveling or just incredibly busy, you can still honor your commitment through gentle stretching or quick walks sprinkled throughout the week. If you keep to your commitment every week for the rest of your life, you will continuously reap the health benefits. Commitment is the single most important action you can take. Sometimes you will exceed the minimum, sometimes you will have bad days when you just walk on the treadmill, but you will have built a healthy habit that will sustain you throughout your life. Those "perfect" bodies in magazines are hard (even impossible) to obtain and even harder to maintain. So instead of having an unachievable ideal in mind, exercise for health, energy, and vitality. You do that and you will feel those benefits immediately. Make feeling good your goal, not weight loss or gaining muscle tone. Those benefits will come, but let them be a bonus to the increased energy and health you gain. Tell yourself each time you exercise that your goal is health and energy. By simply sticking to your commitment, you will accomplish that goal, even on light workout days. Do you deal with stress the same way? Do you enjoy food more? Do you feel tired on non-exercise days? Do you crave different foods? Hold on to the positive answers as a reminder for those days you'd rather sit on the couch and surf the internet. Really feel your muscles and limbs. Marvel at the mechanics of running, walking, or lifting. Feel your pulse increase and your blood flow quicken. Really appreciate what happens to your body during exercise. If you've made it this far, it's time to experiment with your exercise's intensity. Maybe you're increasing the weight you use with your free weights. Maybe you're turning that 30-minute walk into an hour. Or maybe you've decided to kick it up to a jog. Once you've learned to love exercise, don't let yourself get bored or hit a plateau. Continue to challenge yourself and your body will continue to thank you.